This old house was built in 1894 for Mr. Benjamin L. Muir. Muir was born in Memphis, Missouri, in 1859, and came to San Diego in 1886. 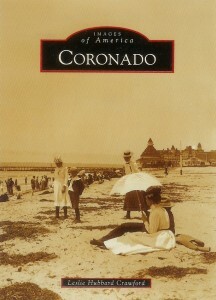 This was the year of the great auction sale of Coronado lots. This may be why he remained in the area. 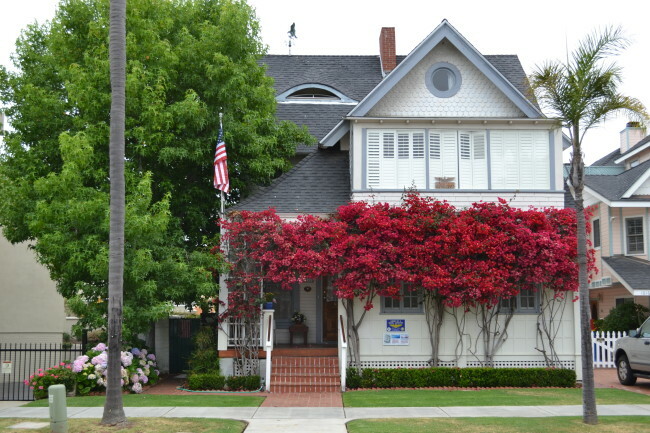 He entered the real estate business and sold much property in Coronado. On May 25, 1887 he married Lizzie Barber, the first wedding in Coronado. The ceremony was performed at the Hotel Del Coronado by the Reverend E. S. Chase, pastor of the First Methodist Church of San Diego. Some 150 guests attended, so it must have been some bash.The house was built as a beach house seven years after the Muir’s were married. It was only occupied by Muir and his wife during the summer. For the rest of each year the building was rented. Renters included a variety of people including a Christian Science Reader, a bartender at the Hotel Del Coronado and a German guy who ran a part time kindergarten here. Since the building was intended as a summer residence no provision was made for insulation. When I first moved in you could literally see the ground below between the cracks in the floor in the living room. I have since caulked the cedar floor planks and insulated under the house, but the walls remain a chill factor.. This was probably done when the projecting, glass‑enclosed portion of the master bedroom was added on the second floor. I have seen an aerial photo of the house (and surrounding area) taken in 1913, and the glassed in area was then in existence, so the alteration predates that. There are three regular fireplaces which were designed for burning coal. I don’t light them any more because the single chimney that serves them may have problems. There is one gas register in the dining room which provides heat for the house. Normally I seal off the living/dining room area with a large, heavy drape during the cold season to prevent heat loss. This is an old medieval castle trick, but it works. To heat without the drape would mean a monthly heating bill paralleling my share of the national debt. In 1993 I had a new roof put on. This required the removal of four previous roofs, the first one made of cedar shakes. All of the framing is of redwood. This redwood was undamaged by either rot or termites when we examined it prior to reroofing. 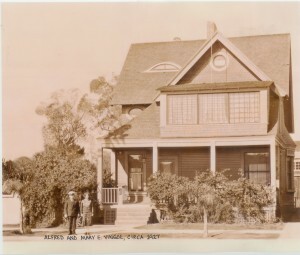 It is interesting that all of the early redwood in Southern California, including that used in this house, was literally rafted down the coast from the Pacific Northwest. There was no north/south railway at the time. The house is a genuine Victorian structure. (Queen Anne Style) Features like the eyebrow window, the oval window on the second floor, the changing shingle pattern from third floor to second, the broad cedar floor planks and other features attest to this. The original exterior color was a medium chocolate brown. I have uncovered some early brown painted shingles which were hidden above the ceiling in the new (pre‑1913) extension of the master bedroom. Many of the brass fittings on the inside doors came from England. I believe the tiles in front of the fireplaces came from England or Italy as well. It was alleged to me by Captain Hudson, who did the modernization of the house about 1973, that the original wiring was done by Thomas Edison when he was in town wiring the Hotel Del Coronado. Hudson claims that the builder of this house was then the mayor of Coronado and thus had the clout to get Edison to do the work, but that is not true. Muir was never mayor of this town. If Edison did the work, and it is possible since there are some very old inactive wires under the house that are almost bare of insulation, he probably did it because he was a good businessman. No sense coming all the way to the West Coast just to wire a hotel. Hudson also told me that the two downstairs fireplaces were covered by six coats of paint when he bought the place. This included the aforementioned English tile, as well as the carved wooden facings and the marble mantels above. Hudson also said that there are two sliding doors buried in the wall between the living and dining rooms. This was confirmed when Peggy Martin Brown stopped by for a visit in April, 2003. She had lived in the house when she was a teenager. Captain Hudson said he did not have time to restore these so he sealed them in. We have now unsealed them, and they are gorgeous. There is an interesting forty five degree twist in the chimney at the top of the third floor stairs. The twist was necessary to allow the brickwork to pass between the ceiling joists. The other exposed third floor chimney (south room) was used to service the kitchen cook stove. My son, Chris, and I removed the above‑roof portion when we replaced the roof shingles in 1993. Much of the mortar was dissolved and the chimney was dangerously leaning. The lower portion of this chimney, in the kitchen, is encased in wallboard covered by wall paper. You can see its projecting outline next to and above the kitchen telephone. The original kitchen was tiny, with the aforementioned separate chimney for the cook stove. The kitchen ended just past the present position of the modern cook stove. The remaining enclosed area was a laundry room and work area. The kitchen was enlarged by Capt. Hudson during the remodeling and the drop-down ceiling installed. There was no garbage pick‑up in the early days of this city, so residents buried their trash in the back yard. I have come across a number of these burial locations and found interesting pieces of broken china, one small intact perfume bottle from Maine, and an array of beef and other bones as well as sea shells. Digging exploratory trenches in the back yard could become an interesting hobby. There were no house numbers when this home was built and for several years thereafter. The San Diego Historical Society has copies of the annual county registers which date from the period. These list all the homes in San Diego County, the residents who lived in them and their occupations. This house was listed as the second house north of Star Park on the west side of Park Place. I purchased the house in 1975 and quickly learned that when you live in a house this old you must plan to perform regular geriatric work to keep it going. Fortunately, this has been an enjoyable occupation and has afforded Lowes, Home Depot, Ace Hardware and various other building materials supply houses, the opportunity to cash in on one more do‑it‑yourselfer. The building was dedicated as a Coronado Historical Monument by the City of Coronado in 1981 and placed under the protection of the California Mill’s Act in 2009 which does not allow exterior changes or demolition without extensive legal procedures. This is as we want it. We want the house preserved as it is for the enjoyment of future generations. In return for our agreement on this, our taxes are locked in, and cannot be raised. The same taxes will pass on to the next buyer to compensate them for accepting this historic house as it is. This wonderful 1927 picture was sent to me by Maureen (Rutherford) Nieland, granddaughter of Captain Alfred Vingoe, Royal Navy (Retired), who lived in the house from about 1927 to perhaps 1935. He returned to his birthplace in England around 1938. Note that the open porch extended completely across the front of the house at that time. If you check the floor planks in the front part of the current living room you will see that they were added at some later date after the building was completed. It is my belief that front two-thirds of the porch was enclosed in 1942 by Francis Martin, the then owner. Martin seems to have purchased the house around 1935 judging from a building permit he received at that time. Another new discovery in December 2010, was the set of pocket doors (mentioned above) separating the dining and living rooms. I had been tipped off to their existence by Captain Hudson who did the house restoration 40years ago. On a visit here he tapped the wall and said, “There are sliding doors in there but I didn’t have time to restore them, so I boarded them in”. Last year we decided to give it a try and pried off the covering board on one side. Sure enough, there was one. Peeled back the second side, and there was the other (only that one had been in there so long that when they wired the house they drilled right through it, so we had to rewire before being able to pull it out). Now both are restored and painted and looking just as they did when the house was new back in 1895. 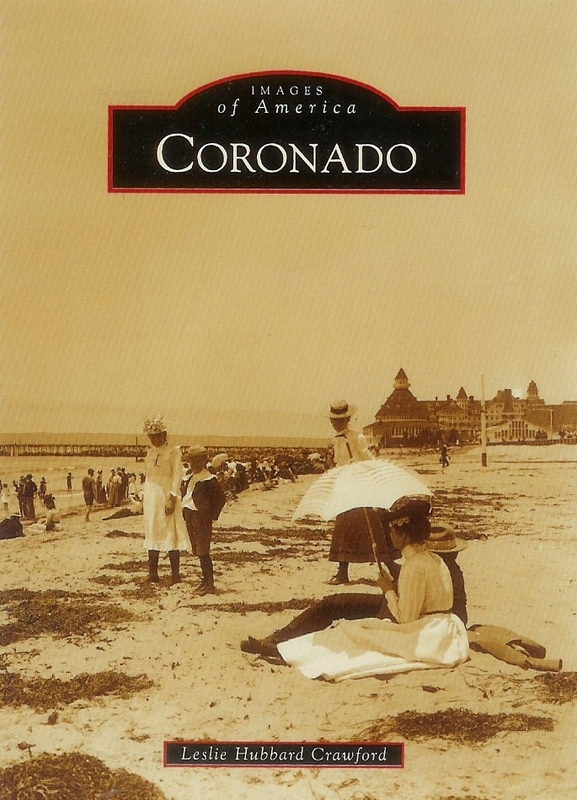 About Coronado: if you want a comprehensive picture history of this charming city dating back to the period of earliest exploration to the present time, buy a copy of my daughter’s Acadia Publications Book, Images of America: CORONADO. The book is available at Bay Books on Orange Avenue, just across the street from our home, the Historical Association, just around the corner, or you can buy a copy from me.